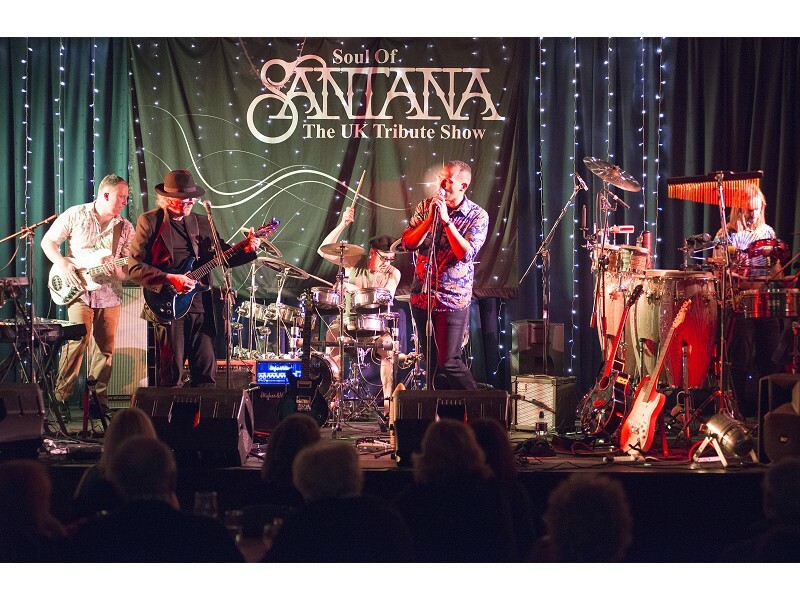 There are tribute acts and then there is 'Soul of Santana', awesome musicians who capture all the excitement and energy of Carlos Santana and his band at their peak. This show will have you reeling in the years for over two hours. This band of Santana fanatics play the classic songs of this mighty guitarist with true passion. The show keeping the Santana legacy alive - witness a true latin-rock tribute to one of the world's greatest artists faithfully delivered. The arrangements are tight and instrumentation note perfect, with all the excitement of Santana live reproduced with nerve-tingling accuracy. Expect to hear all the great Santana classics including: Evil Ways, Smooth, Black Magic Woman, Samba Pa Ti, Let The Children Play, Soul Sacrifice, Game Of Love and many more. This is the fruit of dedicated Santana fans who, when not working with Soul of Santana, regularly perform in musical theatre, television, back major recording/touring artists and play in orchestras and bands onboard luxury liners.